We often associate pain behind the knee with our age; however, this type of problem is not strictly related to the aging process. It can often appear in younger adults, and it can be caused by various factors such as sport or work injuries, deformities or overuse. Majority of people decide to ignore the pain and symptoms if it does not significantly affect movement or regular activities. However, an early diagnosis, and intervention is the only efficient way of treating the back of knee pain and preventing future or further knee damage. Below we listed and explained the most common causes of pain in the back of the knee and what you can do to improve your condition. To understand lateral knee pain, medial knee pain or pain on the outside of the knee, you first need to understand the anatomy of these joints. Our knees are the most significant joints in our bodies. They consist of upper and lower bones that are divided by discs called menisci. Upper and lower bones – femur, tibia, and fibula are interconnected by ligaments and muscles. The inside of the knee joint is coated with a cartilage that absorbs the pressure put on the knee when performing an activity. Knee problems are most commonly related to injuries of some of these compounds. Depending on our genetics we can be more likely to develop knee pain than other people. 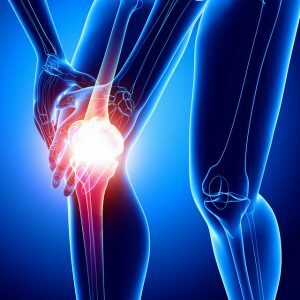 However, many sports, physical jobs, recreational sports, aging or different diseases are some of the reasons that are known to cause knee pain. Gastrocnemius tendinopathy or tendinitis is a type of knee tendons inflammation or degeneration of tendons of the knee. The targeted muscle is the calf muscle which will cause pain behind the knee. The reason why this problem appears is an overuse injury which means continual overuse of the muscle. Therefore, this type of knee tendons issue is most likely to appear within the population of runners or professional sprinters. The symptoms of gastrocnemius tendinopathy include pain behind knee and calf, especially when doing stretches, calf raises or jumping. The biceps femoris tendinopathy or hamstring injury affects the hamstring muscle tendons. Injuries of the hamstring tendon will cause the outside back of knee pain. Knee pain when bending knee could also manifest, as well as swelling behind the knee after exercise. Athletes will experience stiff or tight hamstring muscles the day after intense training. If hamstring injuries happened recently, then the first therapy should be resting and applying ice for 15 minutes for the first 24 hours. Another prominent cause of knee pain is the baker’s cyst. This condition features a rounded swelling behind the knee which is mostly about the size of a golf ball. However, it fluctuates over time. Patients usually complain about pressure behind the knee that can also grab the calf muscle. Also, patients will feel sharp knee pain when bending the joint. The checkup will show that the swelling on the back of leg behind the knee is filled with fluid which causes the bursa (special little sack of fluid that lubricates the knee) to swell also. The most important first aid for this condition is resting. A very common cause of knee pain is the so-called tennis leg. Tennis leg is an injury to the knee that includes tearing of the inside of the central calf or plantaris muscle. This results in sudden and intense pain in the back of knee and calf muscle. Movement of the ankle will often be decreased, and the patient will probably complain about weakness when standing on toes. Because of swelling behind the knee and bruising, the tennis leg is often mistaken for vein thrombosis, another condition that we will discuss later in the article. A torn meniscus is quite a common knee injury that can vary from minor to severe. The meniscus is a C-shaped disc that absorbs pressure on your knee. It balances our weight and helps the knee function even when lifting heavy objects. A torn meniscus can affect your stability and movement. Minor tear will include swelling and little pain which should go away in a maximum of two weeks. Moderate meniscus tear will feature pain on the side of the knee or medial knee pain and swelling that progresses. However, severe tears will manifest in strong pain, pieces of the disc could go to the joint and your knee might pop and lock making it difficult for you to move or bend it. Calf injuries are often with people who work out and stretch a lot or do sports. They are caused by sudden jumping or pushing off motion or overuse of calf in stretching. Symptoms of this injury are a sharp pain in the back of the knee, and lower leg and swelling on the back of leg behind the knee. The calf muscle is very likely to bruise and be sensitive to touch. This injury should be treated by resting and cold therapy immediately followed by the rehabilitation program. An inflammation of the tendons around the popliteal muscle is called popliteus tendonitis. This muscle is placed in the back of the knee, responsible for the rotation of the shin bone, and mostly injured during intense physical activity. Popliteus tendinitis can cause pain and tightness behind the knee. When it comes to popliteus tendinitis, completely staying away from walking or any activity will not be necessary. However, you should avoid performing any motion that causes pain. Particular stretches help this condition, and patients should perform them three times and hold each one for more than 15 seconds. A phenomenon that includes experiencing pain in one part of the body, but originates from another part is known as referred pain. When it comes to knee pain, is often referred to the knee joint from the lower back, considering some nerves reach the lower, limbs. If these nerves are damaged, you might experience a referred knee pain. There is a variety of reasons why this type of pain occurs, such as trauma, torn discs or arthritis. Some of the most significant symptoms are tingling, reduced range of motion and decreased balance. Anterior cruciate ligament injury is one of the most frequent knee injuries. It is most likely to happen to people and athletes who perform demanding sports such as football, basketball or soccer, which are significantly difficult on the feet. Anterior cruciate ligament injury might require surgery to gain back your flexibility and full knee functionality. Majority of anterior cruciate ligament injuries go together with other damaged structures in knee joint such as cartilage or meniscus. Symptoms of this injury include popping when walking and discomfort, as well as reduced ability to move the knee. The main purpose of the posterior cruciate ligament is to keep the shinbone from slipping backward. Because it is much stronger and sturdier than the anterior cruciate ligament, it is a less common knee injury. This ligament is made of two compounds connected to one little structure. Just as the case is with the anterior ligament, posterior ligament injury often brings along other injuries in the knee. Most often tears of the posterior cruciate ligament are partial, and there is a chance they heal on its own. This is why people who suffer from this injury have a significant opportunity for a return to sports without knee pain. Out of all of the listed, deep vein thrombosis is one of the most severe conditions. It is a blood clot that develops within the vein. Usually, a blood clot is located in the deep vein in the leg that goes along the calf muscle. About 9,000 Americans suffer from deep vein thrombosis annually, and it is especially dangerous if a part of the clot travels through the patient’s bloodstream to other organs. DVT usually affects only one leg. Typical signs of thrombosis are pain and swelling behind the knee and down the calf, pain in legs behind knees and calf, sensitivity and bruising. First step therapy is taking anticoagulant medicines that ensure that clots don’t grow even more, and prevent the development of new ones. This condition is highly related to lifestyle habits such as smoking, eating unhealthy, not exercising and being obese. Cramps behind knees and in the lower leg can often happen due to claudication. Claudication is a condition that appears because of improper blood flow to muscles. Because of the pain caused by claudication, people hobble when they walk. Nonsevere claudication comes and goes as you rest and walk, but in severe cases, the pain is present even when in a stage of resting. Patients usually complain about burning behind the knee and down calfs, as well as discomfort and cramping of the calf. Treatment of claudication is divided into two categories, either medication or surgical treatment known as revascularization. Arthritis is a relatively common condition that represents inflammation of one or more than one joint. Most obvious primary signals include stiffness, pain or swelling. Although any joint in our body can be affected by this disease, knees are especially prone to it. Knee arthritis can significantly influence daily life and activities, even the most basic ones such as walking and climbing stairs. Patients feel a knee pain when bending leg, pain when extending leg, swelling and weakness in knees. The most prominent types of arthritis and those that affect the most people are osteoarthritis and rheumatoid arthritis. Unfortunately, there is no cure for arthritis. However, there is an abundance of things that you can do that can help keep the pain away. It is recommended to do low-impact activities instead of high demand ones, lose weight to reduce pressure on knee joints, take medication, to apply cold therapy and do physical therapy. For acute knee pain, multiple relieving tips and methods can help you reduce pain, swelling or cramping. The primary advice is to rest your knee until you feel the pain is slowly going away. By ignoring the pain and continuing to walk, run or exercise, you are only putting your joints at even more significant risk. Cold therapy is an obligatory tip for improving your condition; apply ice for at least 15 to 20 minutes a couple of times a day. While you are doing that, have your injured knee elevated on several pillows. For the pain behind the knee, you can also use a pain relief gel to get instant results, and it would be best to use a natural option, for example the RunningMax natural pain relief gel. Compression bandage can help support your knee and soothe it but be careful not to tighten it too much. Until you leg is not fully healed, use tools to support your weight when walking, such as canes or crutches. However, if the pain continues and you feel no relief whatsoever even after a couple of weeks, it is time to visit the doctor. You should visit a professional if the swelling of knees and calves doesn’t go away and if you can still notice obvious redness after a while. Don’t hesitate to visit the hospital if you are in big pain even after taking pain-relieving pills. Signs that indicate that you need to visit the doctor immediately are high fever, history of blood clot, problems with breathing, and extreme and sudden bruising and swelling.